Sherlock Holmes is hot property at the moment. Robert Downey Jr has played the titular detective in two box-office behemoths and Benedict Cumberbatch is supremely popular across the globe for his take on the character. Now, Sir Ian McKellen is giving it a go in the little-publicised BBC funded Mr Holmes. But does it continue the trend of crafting intriguing dramas from the stories of Sir Arthur Conan Doyle? Bill Condon, director of Dreamgirls and the upcoming Beauty & the Beast live-action remake takes charge of an intriguing film that ends up having a whiff of Saturday night drama about it. Mr Holmes follows the story of the titular character as he comes to terms with his advancing years. 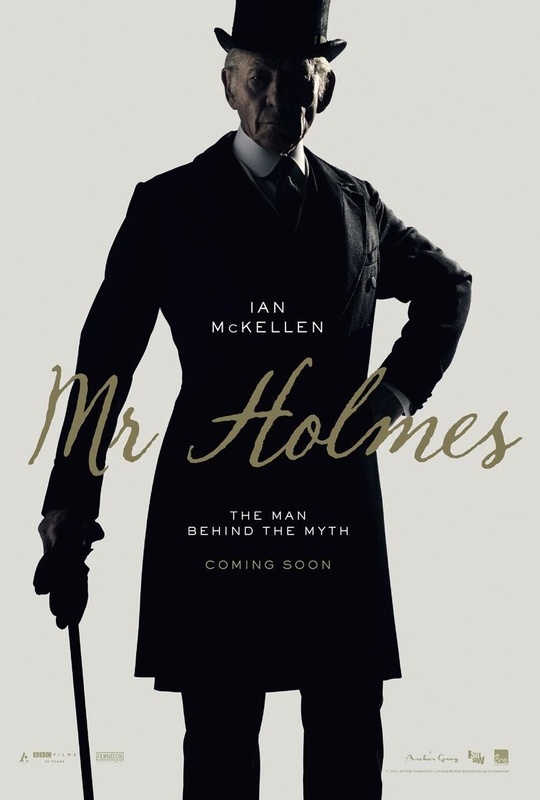 McKellen plays Holmes at age 93, living away from the public eye in a quiet rural location alongside his harsh housekeeper Mrs Munro (Laura Linney) and her son Roger – a wonderful Milo Parker in his first big-screen role. 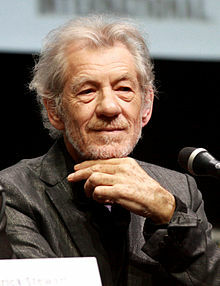 Ian McKellen is simply brilliant throughout the course of the film and after years of playing Gandalf and Magneto, slows things right down in a portrayal of the detective never really seen before – he is magnificent. Laura Linney is a good distraction from McKellen’s rather downbeat role but her character doesn’t really do enough to register and her accent wanders through numerous countries by the time the end credits roll. This is very much McKellen’s film. Mr Holmes, much like A Little Chaos earlier this year is a slow-paced drama that would rather tackle the finer details of the script and focus on its characters then delve into unnecessary subplots and fancy special effects and there’s something charming about this simplicity. Unfortunately though, it all just feels a little TV drama like. Because of this, you’re almost expecting a ‘To be continued…’ credit to be added at the end of the first hour – with the conclusion coming a week later. This is a real shame as it makes Mr Holmes feel longer than it actually is. At just over 100 minutes, this is by no means a drawn-out film but the slow pace ensures things seem to take a little longer than they perhaps would in another feature. Thankfully though, Ian McKellen’s performance is reason enough to give Mr Holmes a watch, with another being the intriguing and at times, rather unpredictable plot. Overall, there isn’t really that much wrong with Mr Holmes but its release date is almost suicidal. Being sandwiched in between blockbusters like Jurassic World, Minions and Terminator: Genisys, it has a tough job to do and it deserves more success than I fear it will end up having. Ian McKellen, like Meryl Streep is one of the finest living thespians and Mr Holmes only cements his position at the very top of his craft. However, it’s probably best reserved for a night-time viewing with slippers and a hot cup of cocoa. good review adam, anything to do with Sherlock holmes is a must see for me certainly will see this one.